So, you have successfully set up Kodi on your favorite device, and now want to kick back and watch some movies. But what if the phone rings or the pizza guy knocks at the door? You’ll need to pause Kodi. But how? Simply put, you need to set up a Kodi remote control. Perhaps you didn’t have one to start with, or you lost the one that shipped with your dedicated Kodi box How to Choose the Best Kodi Box for Your Needs How to Choose the Best Kodi Box for Your Needs Want to buy a Kodi box but unsure which one you should choose? In this article, we recommend particular boxes for particular needs, helping you narrow your choices. Read More . Here’s how to set up a remote with any Kodi media center. Using Kodi? You Need a Remote Control! It doesn’t matter what platform you’ve installed Kodi on. You’re going to need a remote control. This might be the device’s native controller, if that suits you best. But if it’s no good for managing Kodi, you might prefer the dedicated mobile app, or even your TV’s remote control. 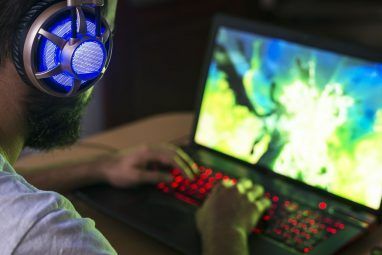 Before you can do any of this, however, you’ll probably need to connect a mouse or keyboard to the device. With either connected, you’ll be able to navigate the menus to enable the use of a remote in Kodi. 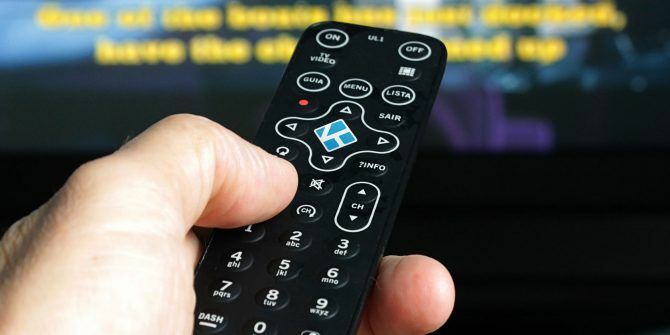 Whether you plan to use the Kore app for remotely controlling your Kodi media center, or you have another tool in mind, you cannot proceed without first enabling remotes in the Kodi settings. Next, click Password, and set a new password. This will be used in conjunction with your username to establish a secure connection from any app-based remotes. Before you’re done, also ensure that Allow remote control from applications on this system and Allow remote control from applications on other systems are also enabled. To save these settings, simply click the back button on your keyboard, or click your mouse in the top-left corner. Whether you use Android or iOS, you have a massive choice of remotes to choose from. However, the de facto choice is Kore, the remote app provided by the Kodi developers. The great thing about Kore is that it is so easy to set up. As long as your mobile device is on the same network as your Kodi media center, and you know the IP address How to Trace an IP Address to a PC & How to Find Your Own How to Trace an IP Address to a PC & How to Find Your Own Want to see the IP address of your computer? Perhaps you want to discover where another computer is situated? 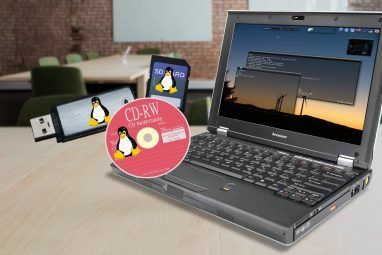 Various free tools are available that tell you more about a computer an its IP address. Read More , you’re ready to go. Once the app is installed, just run it, and open the hamburger menu (steps are for Android, but iOS version is similar). Here, tap the Add Media Center button, then Next. This will prompt Kore to search for a Kodi media center on your network. If the wrong one (or none) is detected, tap Search Again. Otherwise, tap your media center device to configure it manually. This should match what you entered as a username and password in the Settings > Control screen in Kodi. You should now be able to remotely control your Kodi box from your smartphone How to Use the Peel Smart Remote App to Control Your Entertainment Equipment How to Use the Peel Smart Remote App to Control Your Entertainment Equipment The Peel Smart Remote app provides a great way to control all your devices from your Android phone or iPhone. Here's how to start using it. Read More ! Another option is to use a browser (perhaps on a PC, or a mobile device) to control your Kodi box. If you’ve enabled HTTP in the previous section, this will be possible by browsing to your Kodi box’s IP address. You’ll find this in Settings > System Info > Summary. So, from a PC, you might remotely access your Kodi device via Chrome, or whatever your favorite browser is. Similarly, if you’re using a mobile device that doesn’t have the Kore app, or you don’t have access to your platform’s app store, you’ll be able to remotely control Kodi via HTTP. Although useful, remote connections over HTTP are slow, so don’t expect great results. It’s usable, but not as good as using a Kodi remote app. In fact, it might be wiser to try a completely different type of remote control. If you’re using Kodi on a device with its own remote control, you may not need to use an app. For instance, if you installed Kodi on an Amazon Fire Stick How to Install Kodi Media Center on an Amazon Fire Stick How to Install Kodi Media Center on an Amazon Fire Stick In this article we explain how to install Kodi on an Amazon Fire TV Stick. Which, when you've finished, will leave you with the best media center for anyone on a budget. Read More , you can control it using the Amazon Fire remote control. It doesn’t end there, either. Even if you have a dedicated remote for the host device, you might prefer a different one. As your Kodi box is connected to your TV via HDMI, if your TV and media center both support HDMI-CEC (the CEC stands for Consumer Electronics Control), you’ll be able to use the TV remote to control Kodi. But is HDMI-CEC enabled on your TV? The only way to find out is to head into your TV’s settings. This menu location will, unfortunately, differ depending on the manufacturer, and how HDMI-CEC is named will also differ. Unfortunately this has been renamed by almost every TV manufacturer, so HDMI-CEC might be known as Bravia Sync (Sony), EasyLink (Philips), SimpLink (LG), etc. ad nauseum. It should be noted, however, that if you have a Hitachi TV, you can simply look for HDMI-CEC. Once this feature is enabled, your remote control can then be used to operate your Kodi media center. This can be more convenient than an app, so you really should try it out. With more and more people realizing the potential of Kodi, setting up a remote control is an obvious next step for beginners. Because nothing beats lazing on a couch and watching your favorite movies and TV shows without ever having to move a muscle. And, as we hope we have shown, setting up a Kodi remote control is really quite easy once you know how. Looking for more Kodi tips? 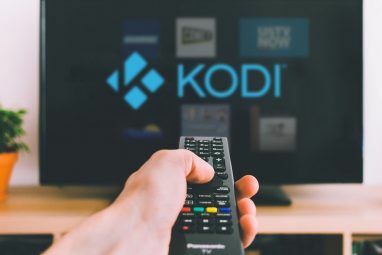 Check out our exhaustive Kodi setup guide for beginners How to Use Kodi: The Complete Setup Guide How to Use Kodi: The Complete Setup Guide Our beginner's guide shows how to install the Kodi software, how to navigate through the initial setup, and how to load add-ons. Read More . App-based remotes can be cumbersome. We use Kodi with a more traditional IR-based Inteset Tech or Harmony remote. Yatse: Kodi Remote and Cast is excellent too. The free app has plenty of functionality but there's an unlocker that provides even more advanced functions. It's well worth a look. After all kore is just a limited clone appeared way later, still sad to see that most major web sites spread that.